As the final series of Game of Thrones draws ever nearer, it seems the ending itself is more of a talking point than what will happen in the episodes themselves. Let’s not forget, the final series will consist of six episodes, each with a run time of roughly an hour and a half. That 540 minutes of glorious, gory, dragon-fuelled scenes as well as, presumably, the awkward moment Jon Snow and Daenerys Targaryen find out they’re related to each other. At the moment though we haven’t actually seen any of it, so can only speculate and wonder about how the final moments of the final episode will, presumably, leave us shaken to our very core. 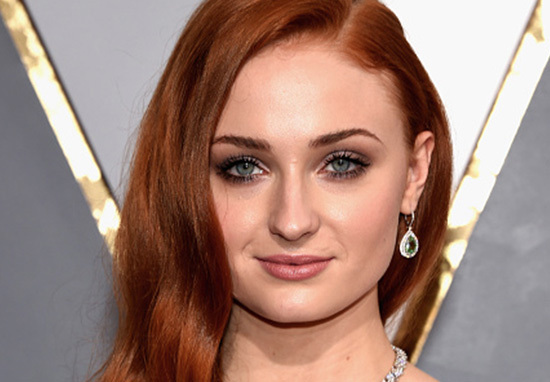 Actress Sophie Turner, who plays Sansa Stark in the show, has suggested that the series finale will split fans down the middle, however. Speaking to IGN, the actress revealed her own reaction after reading the script for the last episode. And as for how she thinks fans will react? Sophie’s character Sansa has, alongside Daenerys, one of the most dramatic character arcs throughout the programme. Starting off as a young and naive little girl, she slowly comes into her own, becoming a strong and powerful woman by the end of season seven in which she is finally reunited with her ‘brother’ Jon Snow, played by Kit Harington. During the interview, Sophie also hinted at what becomes of her character in the eighth series. She kind of takes ownership over who she is and what she stands for. Over the course of the series she’s been completely unaware of what she wants, where she wants to be, who she really is, and at the end of this season, I feel she is the most self-assured character in the show. It is, however, ‘really bittersweet’ to say goodbye to her character on GoT. Now I have all this sort of freed up time to do kind of different projects that would normally shoot over the time that either X-Men or Game of Thrones would shoot. It’s really exciting. I see a lot of opportunities and getting a ton more scripts, which is just like fuelling my passion so I’m excited but, of course, it’s hard to say goodbye. Especially to Game of Thrones. I’ve been on it for nearly a decade but it’s definitely difficult. Though she’s already commemorated it with a tattoo, it seems the end of Game of Thrones will leave a long-lasting impression on Sophie and all those involved in the show.